The Proud Tower, the Pulitzer Prize-winning The Guns of August,and The Zimmermann Telegram comprise Barbara W. Tuchman’s classic histories of the First World War era . In January 1917, the war in Europe was, at best, a tragic standoff. Britain knew that all was lost unless the United States joined the war, but President Wilson was unshakable in his neutrality. At just this moment, a crack team of British decoders in a quiet office known as Room 40 intercepted a document that would change history. 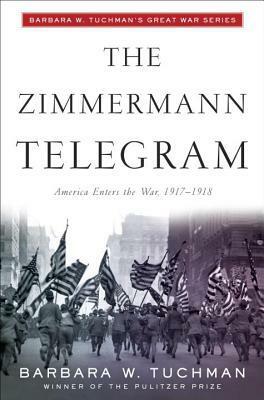 The Zimmermann telegram was a top-secret message to the president of Mexico, inviting him to join Germany and Japan in an invasion of the United States. How Britain managed to inform the American government without revealing that the German codes had been broken makes for an incredible story of espionage and intrigue as only Barbara W. Tuchman could tell it.